A new $535000 hut opened February 2014, to replace the smaller hut on the site. The hut provides pleasant views over the grassy flats of the mid-Caples Valley and into the ranges beyond. 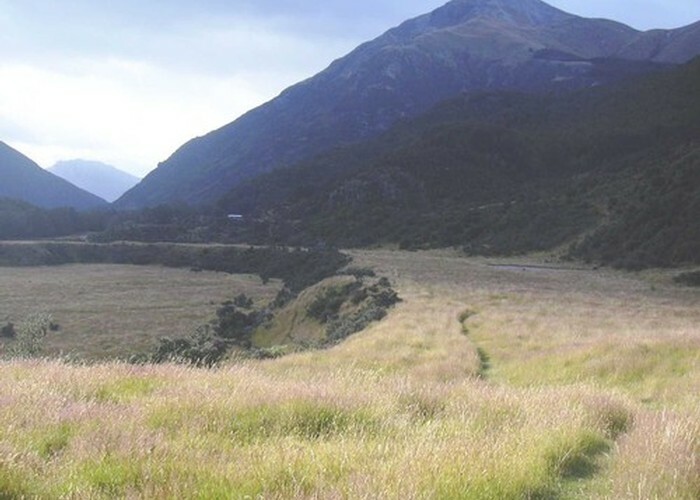 Mid Caples Hut is situated on the popular Caples track, part of the Caples - Greenstone circuit, and can also be used as part of a shorter circuit from the Dart via Scott Saddle and/or Sleepy Hollow. The hut offers a warden and flushing toilets during summer months. Mid Caples Hut • By madpom. Added 22 January 2007 by madpommadpom. 2 revisions, most recently 17 November 2017 by BriarBriar.